BUSIA: Two soldiers attached to the UPDF Marines Fish Protection unit have been arrested by their counterparts in Kenya for crossing into the country illegally. The soldiers, who are detained at Busia Kenya Police Station, were arrested on Sunday after they crossed the border in pursuit of vehicles that were allegedly carrying immature fish from Uganda. The County commander Busia- Kenya police, Mr Katiti Wambua, confirmed the arrests. 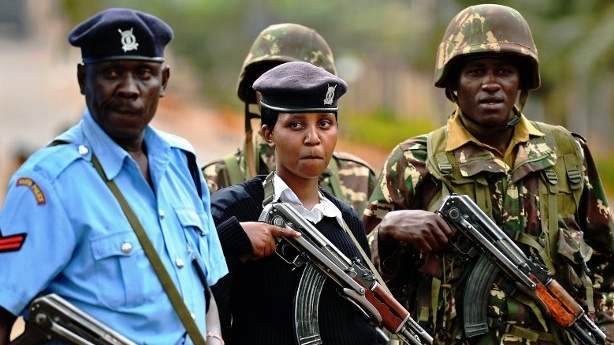 “They were arrested after they crossed into Kenya armed with two AK47 assault rifles,” he said, adding that the guns they had in possession are in the custody of the Kenya police. Mr Katiti explained that the two vehicles they were driving in were also impounded including one belonging to the army officers registration number UAV 065c and another, registration number, UAF 734, whose driver, is currently on the run. Mr Jacob Narengo, the county commissioner Busia- Kenya said it was unfortunate that Ugandan soldiers chased a vehicle from one country to another because of fish. “It was unfortunate that the officers chased the vehicles from one country to another, which was a kind of an aggression,” he said, adding that the arrested officers will be held accountable as individuals. The Resident District Commissioner, Busia district, Mr Hussein Kato Matanda, explained that soldiers were chasing smugglers, who had stuffed close to 2 tonnes of immature fish in the vehicle, taking it to Kenya. “The racket of smugglers dealing in immature fish is big and most of them Kenyans, who have resorted to hiring Ugandans to carry the fish across the border,” he said. The Marine Forces Unit forces were deployed on the lakes to combat illegal fishing on President Museveni’s directive following reports of decline in fish exports and the closure of fish factories.